Bulb lifting has started at the farm. We have started bulb lifting at the farm and they are looking excellent! 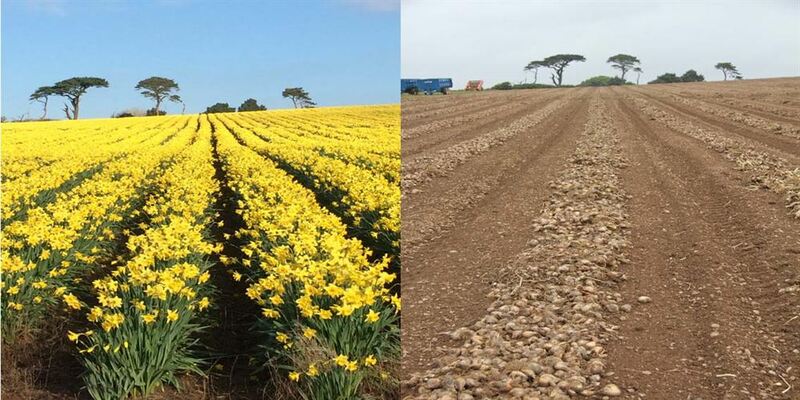 Here's a picture of one of our fields in January and how it looks today. 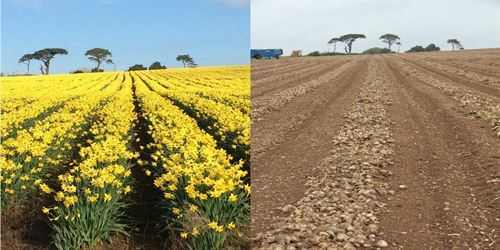 The bulbs are left to dry in rows, before being brought in and hand packed back at the farm, ready to sell this season.